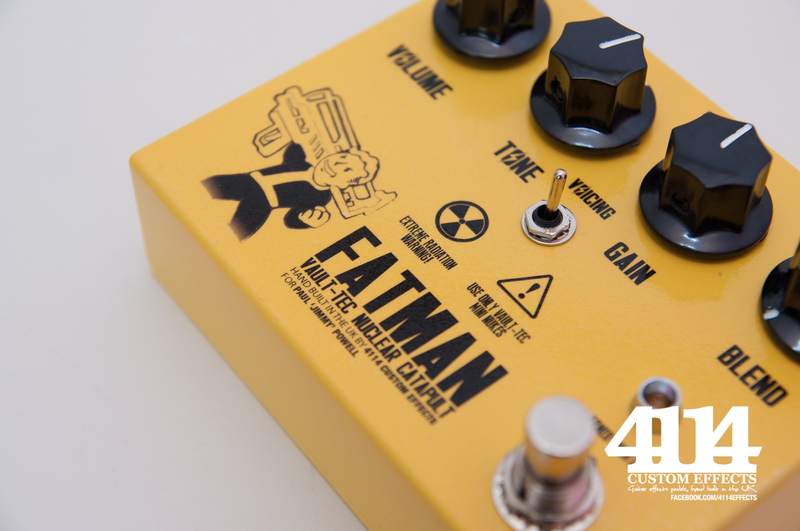 Here’s a lovely pedal – just to show that 4114 Effects loves bassists too! 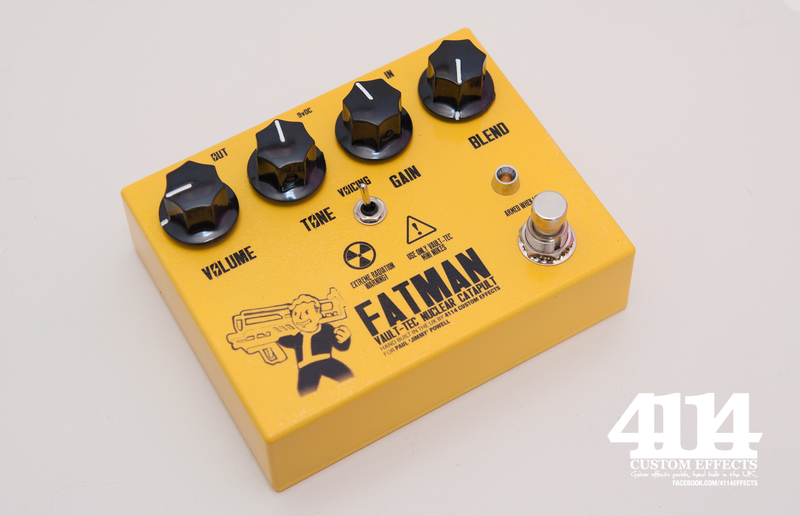 It’s another of my Fallout inspired Fatman Overdrive pedals. There’s a Fulltone OCD v3 (the best version) circuit inside, but to keep it bass friendly I’ve added an active blend circuit. I’m not a fan of bass guitars going straight through overdrive or distortions as you nearly always lose an amount of the bass tone and low end. This addition means you can blend varying amounts of drive to clean signal ratio, keeping the low end and tone of the bass present. Features great Fallout themed graphics and, as always, it’s personalised with the customers name, for that extra individual touch.